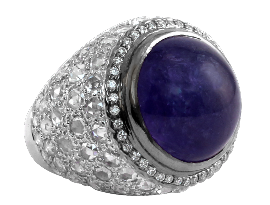 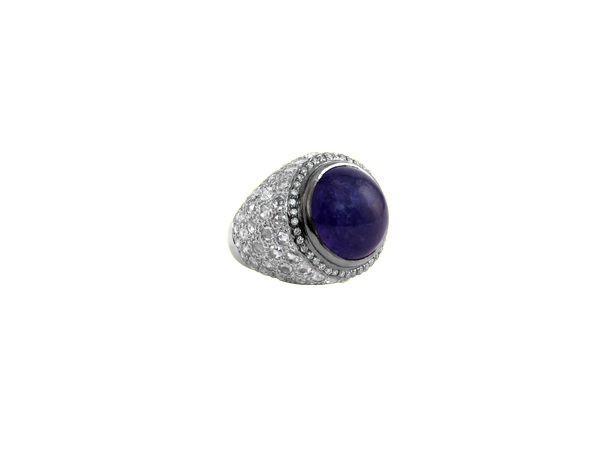 Statement ring featuring smooth tanzanite accented with roundrosecut diamonds and brilliant cut diamonds set in 18k white and blackened gold. 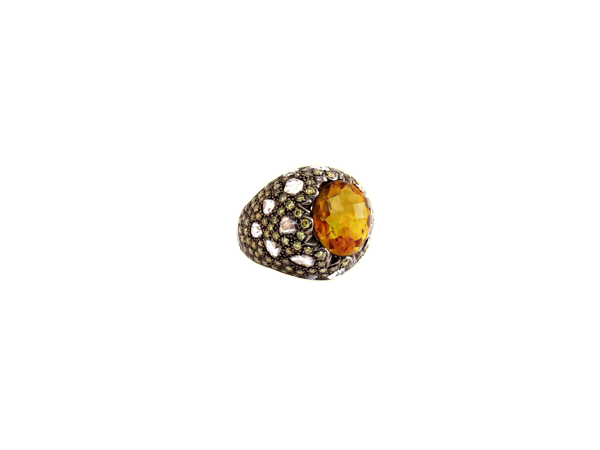 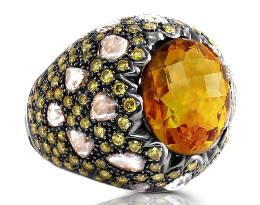 Statement ring featuring checkered cut fire citrine accented with rosecut diamonds and natural color diamonds. 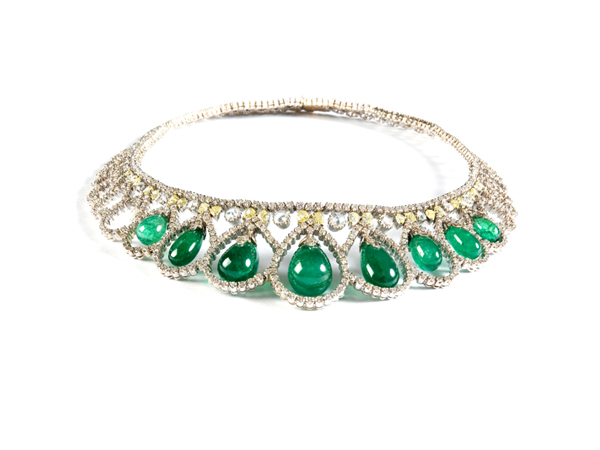 Art deco necklace featuring pear shape smooth emeralds combined with rosecut diamonds and brilliant cut diamonds set in 18k gold. 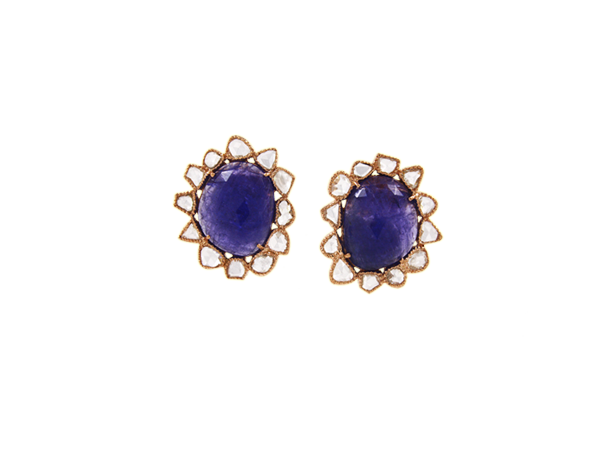 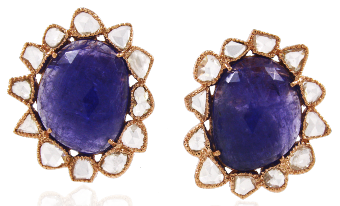 – Earring tops featuring Tanzanites further beautified with mix shape rosecut diamonds set in 18k rose gold. 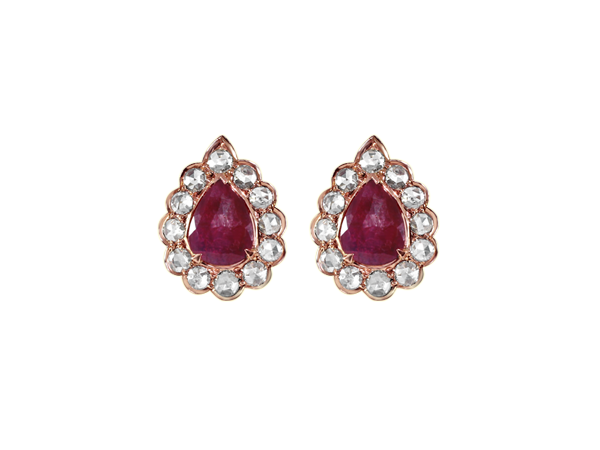 Pear shape Ruby rosecut earring tops haloed with round rosecut diamonds set in 18k rose gold. 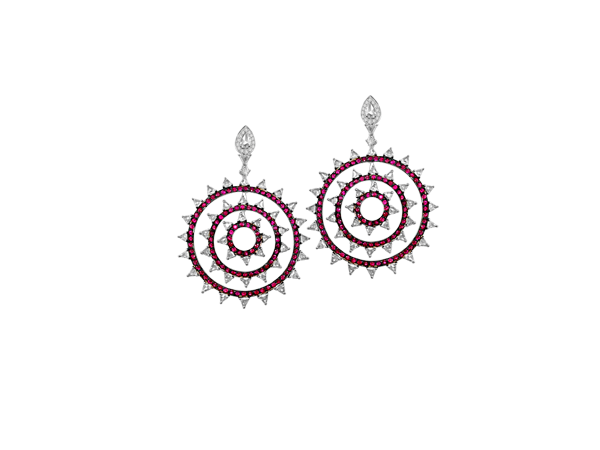 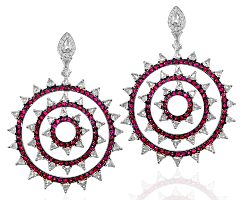 Circular Chandelier earrings made with a combination of round rubies and trillion rosecut diamonds suspended on pear shape rosecut diamonds set in 18k white and blackened gold.